Blogging is a great way to create a passive income. Blogging allows you to share your thoughts, ideas, and expertise on a particular subject. 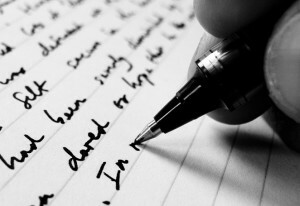 Aspiring entrepreneurs seeking an easy entry into their industry may have great success writing to earn cash blogging. There are blogs for almost every interest area imaginable. There are many bloggers earning a viable income from their online musings. Some of the most popular blogs are pulling in annual revenue of several million dollars. In fact, some of these blogs, like Mashable and Huffington Post, have established themselves as viable media sources and earn greater than $10,000 every day! You can earn cash blogging for your business too. It’s not that difficult. You just need to figure out what you want to blog about (your niche) and then get to writing. As you build content, think about ways you can monetize it so you can earn cash blogging. To get you started, here are five ways you can earn cash blogging. Some of these methods will provide an instant return but other take a while to really create a significant income. As we always say, the hardest part is to start. Google Adsense: This is a free, simple way for website publishers of all sizes to earn money by displaying targeted Google ads on their websites. As a blogger, you can join Google Adsense to share in the advertising revenue generated from ads displayed on your blog. You will place a snippet of code into your blog, usually in a sidebar or footer area, that automatically displays text, images, video, or other interactive media ads that are targeted to your specific content or audience. This is an easy, no-brainer win for you to earn cash blogging for your business. Affiliate partnerships: This is slightly different from Google Adsense in that links and ads are to specific merchants, products, or services rather than displayed purely based on content or audience. You will earn cash blogging by signing up for affiliate programs through merchants that offer relevant products and services to your blog content. For instance, if your blog is about your travels, you can join an affiliate program like Paycation and use your affiliate link to promote hotels you recommend or to help your readers find the best flights. 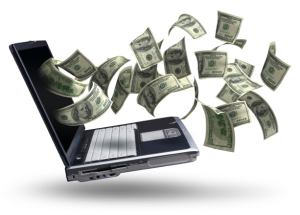 When your readers buy from your affiliate sites, you will earn commissions from the purchase. Display ads: This is a little harder as it requires you to do some upfront selling directly to the merchant. You can sell sections of your blog, again usually the sidebars or footers, to advertisers who have products or services of interest to your audience. These display ads can be text, images, video, or whatever medium you’d like. Typically, you would set constraints on the size and length of time the ad can be displayed on your website. A standard agreement is a $25 – $100 monthly payment for a 200×200 pixel ad space. You can charge more depending on the number of site visitors or impressions you can guarantee the advertiser. Product reviews and referrals: This strategy is a goldmine to earn cash blogging. There are a lot of perks in addition to cash when you blog product reviews. Based on your niche, you may be contacted by companies seeking brand exposure or new product testing. These companies will actually ship you free merchandise to try out in hopes that you will write a favorable review that will then be seen by your loyal readers. Bloggers have received everything from free household cleaning products to brand new cars to try out and review on their websites. Take your product reviews a step further by including your Amazon affiliate link directly to the product reviewed so readers can buy on demand. Donation buttons: This is an interesting strategy that can lead to small trickles of passive income over time. If your blog helps people to gain access to valuable resources or transform their lives in some way, this can be a great method to earn cash blogging. You can grab a donate button code from an online merchant account provider like PayPal to suggest small donation amounts, usually $5 or so, with some catchy language like, “if you got value, buy me a beer”. Another strategy to get people to donate is to explain what the donations are going toward, like hosting fees, etc. You will see this model a lot for app developers and gaming sites. This is also a great strategy for cause-related, educational blogs. There are many other ways to earn cash blogging. The most important thing to remember is that whatever methods you use to monetize your blog should be relevant to the content you publish. Your readers will only click on your links if they find the ads add value to their experience. We’d love to hear how you earn cash blogging? Please comment below and if you found this post helpful, please share with your networks. This entry was posted in Sales on August 10, 2015 by buildingbridgeschicago. One of the first things you’re told as a small business owner or aspiring entrepreneur is that you have to have a website. You not only need a website but you need a website that gets found by the search engines and is complete with all the bells and whistles that will attract and maintain the attention of your website visitors. Not only do you have to have all this, but you have to have a powerful method to convert website visitors into paying customers. This long laundry list of must-haves can be overwhelming to the average entrepreneur who may have little or no technical savvy or web design know-how. Because of this huge skill gap, too many small business owners hesitate to create and activate a website thinking that it can’t be done until all of these pieces are in place. But how when you’re bootstrapping your operations and don’t have the cash flow to invest in high quality web design? No worries. While all of these website design elements can be helpful, you don’t need all of them right away to achieve any type of business success. You can get by with a few critical pieces and upgrade later as your business grows. This post outlines exactly what your website or blog needs for business success. Description. Your website or blog needs to tell its visitors what it’s all about. This includes its purpose and your company’s mission and vision. Have you ever visited a website and the home page didn’t tell you much of anything about who or what the company does? Failing to include an easily identifiable description is a surefire way to increase your website’s bounce rate, the percentage of visitors to a particular website who navigate away from the site after viewing only one page. Create an “About Me” or “Bio” page to explain who you are and what you do. Graphic element. We now live in a very visual society. Think about the rise of social media sites like Instagram, Pinterest, Vine, and YouTube. Web surfers spend hours gazing at and browsing through these images. Articles, blogs, social media posts and websites receive 60% or more higher engagement when they include a graphical element like a picture or video. Recent statistics show that online shoppers give much more weight to image quality over detailed product descriptions when making a purchasing decision. Contact Information. Make it easy for potential customers to reach out to you. Your contact information should be displayed in a prominent position on every page of your website or blog for maximum business success. If your website visitors have to hunt for your phone number or email address, they will leave your site and seek out the next result in the search engine who does make it easy. Place your contact information in at least two prominent positions on your website or blog. You can also add a “Contact” page or use a contact form app like vCita. Value exchange. 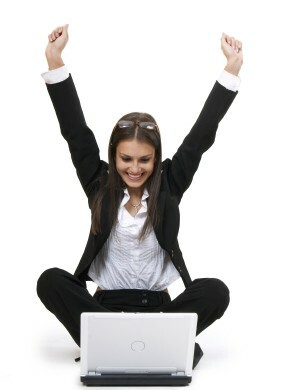 Your website or blog should act as your virtual sales and marketing team. It should both give value as well as prompt a two-way conversation with your site visitors. The value you give could be articles, blog posts, or even a FAQ page. Your website traffic will benefit from the information you share. The value you receive from site visitors may be in the form of social media shares, comments to your blog posts, or the exchange of their email addresses for something else of value, known as a lead generator. 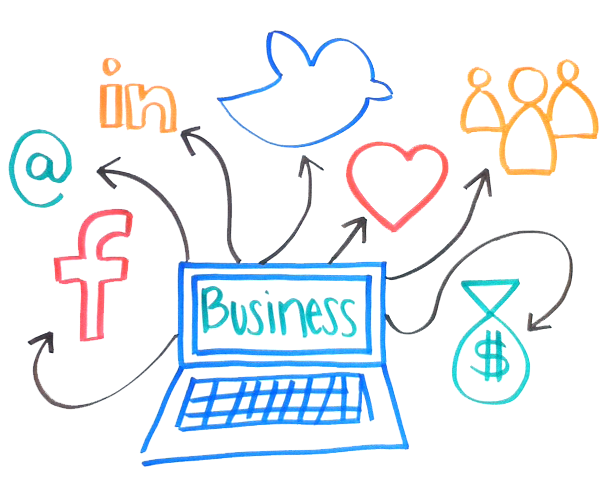 Provide useful, relevant content and add social sharing buttons or lead generators to prompt the value exchange. Call-to-action. You must tell your site visitors to do something. Over 50% of prospective customers are lost because you never ask them to complete the sale. Remember, your website is your virtual sales and marketing team. Much the same as you would “close” a sale in person, you must also close the sale online. Review your purpose and think about the actions your website visitors can take online to help you to fulfill this purpose. Is it to sign up for your mailing list, add something to a shopping cart, or book a free consultation? Whatever is the primary objective, or the most important action, make it plain and easy for your site visitors to do it. Add a big “subscribe” button, lead box, or “buy now” prompt to clue your prospects into taking the actions you expect will lead to your business success. Yes, there are all sorts of other design elements you can add to your website to make it even more attractive to your site visitors. For now, these five simple things will help you to achieve business success quicker than allowing an unpublished website to remain idle while you worry about your lack of website design savvy. Of course, if you need additional help, you are welcome to request a free strategy session. Tell me what you think of these five elements. Do you agree? Please comment below. Of course, if you found value in this post, please share with your network. This entry was posted in Marketing and tagged business success, ecommerce, internet marketing, website on June 10, 2015 by buildingbridgeschicago.